The evolution of the healthcare system in the U.S. has seen numerous changes in the last 30 years where fee-for-service was the mainstay of reimbursement models and hospitals were managed by physicians and patient care was key. The early 1990’s saw the emergence of HMOs and other managed care models with physicians handing over leadership roles to corporate entities whose main concern was the bottom line and profitability while patient care and satisfaction suffered. 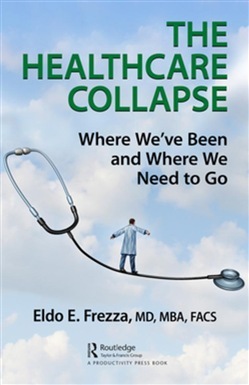 The Healthcare Collapse: Where We’ve been and Where We Need to Go explores the low morale of physicians in this corporate healthcare culture as well as the expansion of hospitals owned by corporations. The author focuses on recovering healthcare morals and return value to the individuals who provide active care and not just business. This book also examines the possible repercussions of Medicare and Medicaid while address the question of single payer healthcare. This book looks at where healthcare has been, what has worked and what hasn’t, and recommends solutions to create a system that focuses on the patient and providing quality care in this age of reimbursement cuts, demands for better technology and providing a safer environment for both the patient and clinicians who work in hospitals. The author also advocates for a shift in management and recommends hospitals leaders engage physicians and other clinicians in process improvement and other initiatives which can result in a more efficient system – one where quality patient care dominant. The book also outlines programs which can be championed by hospitals such as patient engagement activities, community health and other outreach and education programs. 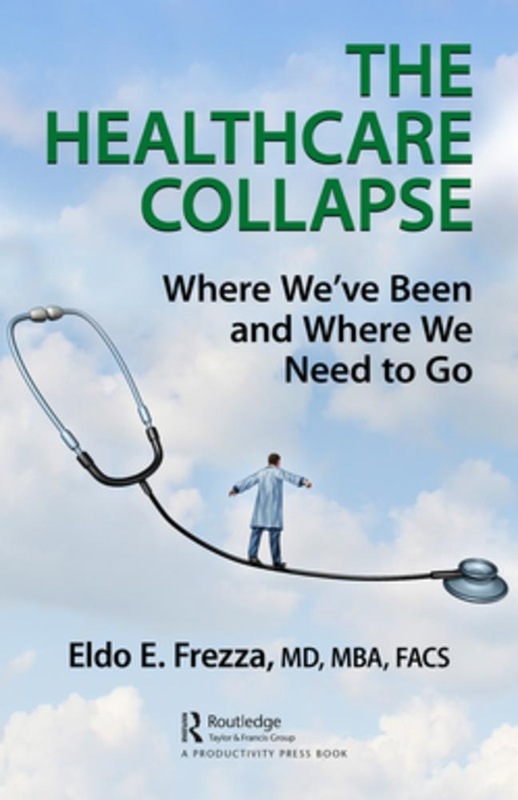 Acquista The Healthcare Collapse in Epub: dopo aver letto l’ebook The Healthcare Collapse di Eldo Frezza ti invitiamo a lasciarci una Recensione qui sotto: sarà utile agli utenti che non abbiano ancora letto questo libro e che vogliano avere delle opinioni altrui. L’opinione su di un libro è molto soggettiva e per questo leggere eventuali recensioni negative non ci dovrà frenare dall’acquisto, anzi dovrà spingerci ad acquistare il libro in fretta per poter dire la nostra ed eventualmente smentire quanto commentato da altri, contribuendo ad arricchire più possibile i commenti e dare sempre più spunti di confronto al pubblico online.